Three months. 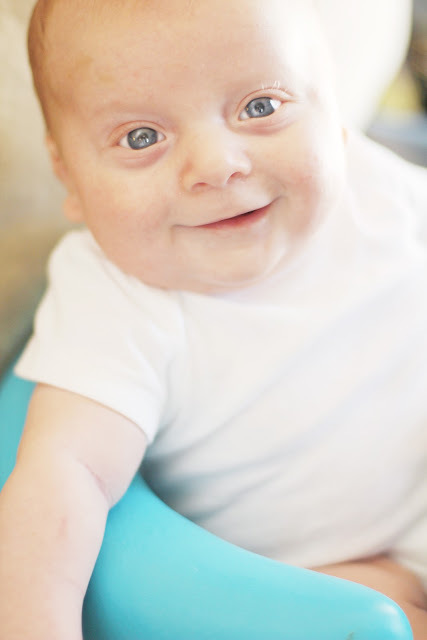 Holy cow, my baby is three months. I am really not quite sure where all of this time is going. It still feels like yesterday that this little guy came into the world with a bang. And now here we are -- Thirteen weeks later and no longer a newborn. This guy is straight up a little man. It's amazing to me the changes that have occurred in the past month. He continues to grow every single day, and makes strides in his progress. I swear this kid is days away from walking. Ok, not really, but I would not be surprised if we had an early walker. All he wants to do is either sit up or stand. Our [and by that I mean his] favorite game is to sit down. stand up. sit down. stand up. Repeat over and over again. His legs are unbelievably strong. It is only a matter of time before this guy starts moving on his own. He has started rocking from side to side just a bit when he is on his back, and he kicks his legs like crazy when he is on his tummy. His personality also continues to shine! We had our first real giggle on Father's Day, and I do everything I can to make him do it again on a daily basis. Hearing that sweet little laugh [because it is still little!] melts my heart! We are working on grabbing and holding, and he is every so slightly getting the hang of it. 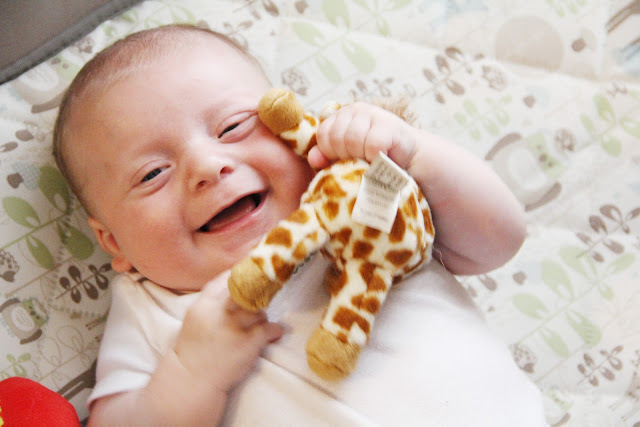 His favorite toy is the sweet giraffe rattle that he has in the above picture. It's just small enough that he can get his hand and arm around it. Of course, his favorite thing to stick in his mouth is his hand. He cannot get enough of those things. Little man is still sleeping in our room with us, in his bassinet. This one is completely on me. With me going back to work three weeks ago, I am not ready to have him in his crib yet. I get so few hours with him a day that I find comfort knowing that he's in the room with us, even if I'm not holding him or spending time with him. I don't know when I'll be ready to give that up, but I do know that M is pushing for it sooner rather than later. We have a one story home, and his nursery is right next to ours, so there is no reason for him NOT to be in his crib yet. It's totally personal preference and comfort on my part. I'll get there when I get there, but I'm not pushing it yet. Although, it will have to happen soon. I find him squished up at the bottom more often than not, which is impressive considering we are still swaddling pretty tightly. Another big milestone this past month was starting cloth diapering! We eased into it as we found brands that we liked, but we are full time now, and I am LOVING IT. 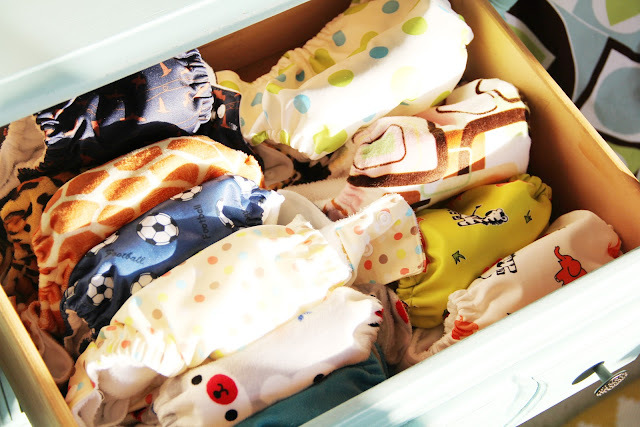 I am so happy that we decided to go this route, and I am already working on a post on the ins and outs of cloth diapering from a newbies perspective. But I LOVE our pocket diapers and Lucas seems to have no problem with them, either. Plus, they are just so dang cute. I can't wait to share my experiences on what we have learned and our processes with them. I am looking forward to the next month and all the new milestones that we reach! He is growing up so quick before my eyes. I can barely stand it! They do grow up WAY too fast! 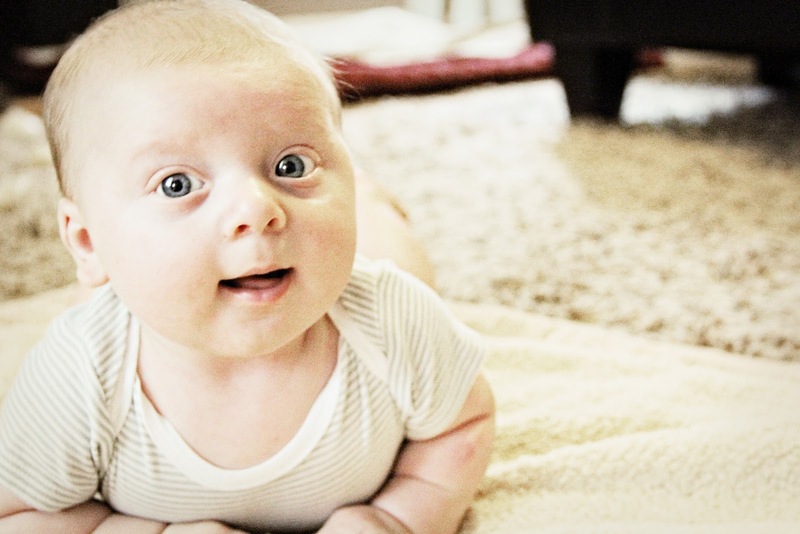 He is super cute :) Our daughter is still sleeping in our room and she is 5 months now! (Her crib is in our room at the moment) I love having her close to me and am not ready to move her just yet either! He's is wonderful. A real cutie. Wow, cloth diapers have really come along way since I had my three. Those photos are so gorgeous! 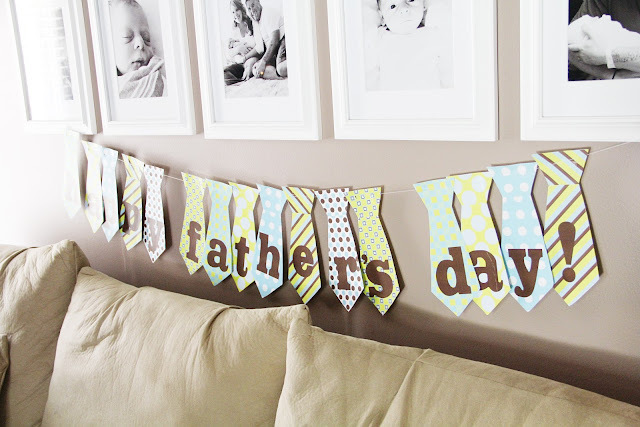 And I love the father's day banner.